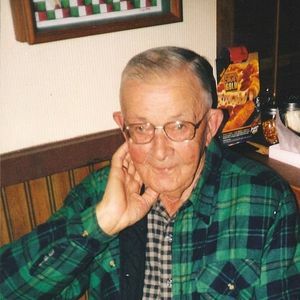 1 of 1 | Posted by: TERRY BROWN JR.
CENTRAL CITY -- Grady Greathouse, 93, of Central City died Saturday, Jan. 1, 2011, at Maple Manor Nursing Home in Greenville. He was a retired farmer and member of Whosoever Will Mission in Central City. Survivors include a daughter, Gracie Worthington; a stepson, Thomas Morton; four stepdaughters, Mary Kittinger, Elizabeth France, Louise Barbash and Dorothy Neal; and a brother, Leon Greathouse. Services: 2 p.m. Tuesday at Tucker Funeral Home in Central City. Burial: Rose Hill Cemetery in Central City. Visitation: After 4:30 p.m. today at the funeral home. The beautiful and interactive Eternal Tribute tells Grady's life story the way it deserves to be told in words, pictures and video.